Epilation is a well-known method to remove hair for a long period of times. It leaves the skin smoother and is also gentle as compared to other hair removing methods. The list of epilators in the market is endless however it is better that one looks for a cordless epilator because it allows easy movement. Most of these epilators require one hour of charging before use. Many People recommend epilators as they ensure that hair grows back less noticeably and you don’t have to do it that often to remain smooth. 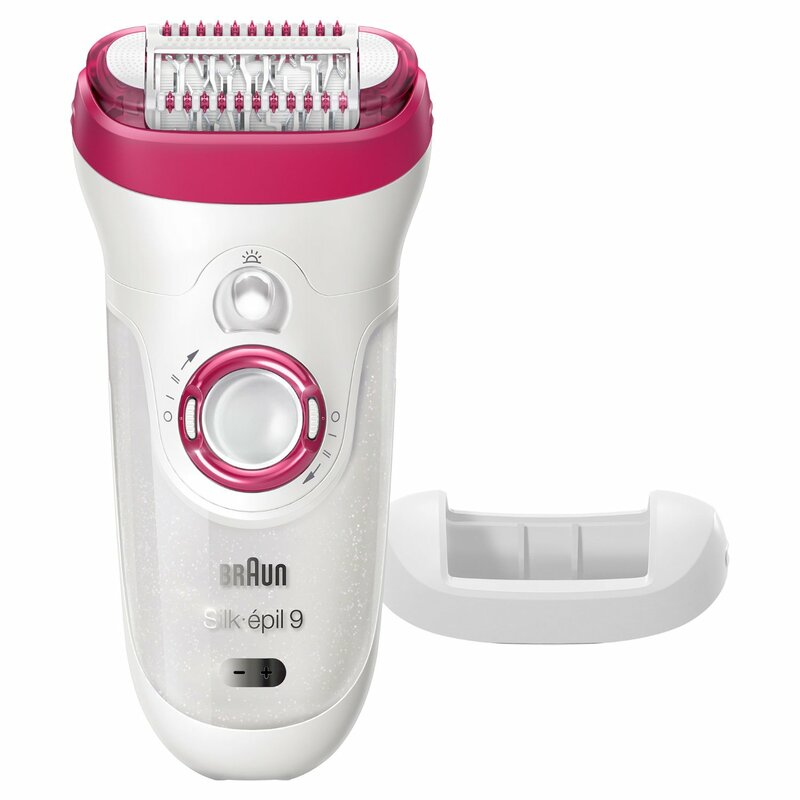 One of the best epilator, which is also cordless, is Braun Silk Epilator 9 9-961. The Silk-Epil range is one we talk about a lot here on the site and is truly one of the best on the market. This machine doesn’t only perform the function of epilation but is a great exfoliator as well. Its tweezers use latest technology to remove hair which can never be removed by waxing and shaving. The machine is cordless which makes it easy to be taken anywhere at one’s own ease. It comes with Pivoting head that easily adjusts to body contours. Epilators are painless machines which can remove unwanted hair with accuracy. This accuracy is possible because Braun Silk Epilator has 40% wider epilation head. Its high price is justified by advanced features which include exfoliation brush head, trimmer cap, massage cap, facial cap, shaver head and a skin contact cap. Another cordless epilator which you may try is Panasonic ES-ED90 Epilator. It has 48 tweezers which provide greater efficiency while removing unwanted hair. It has a wet/Dry technology which makes this machine easy to be used during shower. If you want greater ease, then you may apply soap on to the skin before moving the epilator on it. This machine is best cordless epilator for underarms as it has a sixty degree wide pivoting head. It has an added feature of foot care as well. Before using this machine, make sure you charge it for an hour. One of the best cordless epilator in the market right now is Philips Satin Perfect Deluxe HP6581/00. Clients consider it as one of the most simple and easy to use machine which makes removing of hair hassle free. If you are looking for a cordless epilator which gives smooth and glowing skin then you should give Philips satin a chance. It has speedy tweezers which pluck hair gently without causing any pain. Satin Perfect is great for Exfoliation, Epilation and Moisturizing. Users claim It is easy to handle this epilator because it a very strong grip and easily fits in one’s hand. You can finally say goodbye to the removal of difficult short hair as this machine uses hypo-allergic silver-ion technology. Philips Satin has two speed settings for great ease. Use lower speed for sensitive areas and higher speed to remove hair from larger areas. If you are willing to purchase one of these amazing epilators in future you should try various online retailers. Websites like Amazon are giving free delivery and various discounts if the user purchases these cordless epilators. The industry average guarantee for these epilators is 2 years. However, you may always contact the company in case of any problems.